Product code: ES8206 Categories: Antique, Antique Engagement Rings, Antique Rings. Perfect as an engagement ring or for any other occasion, this antique ruby and diamond ring made in 1899 will always look and feel so beautiful on the finger and is sure to get the attention that it deserves. 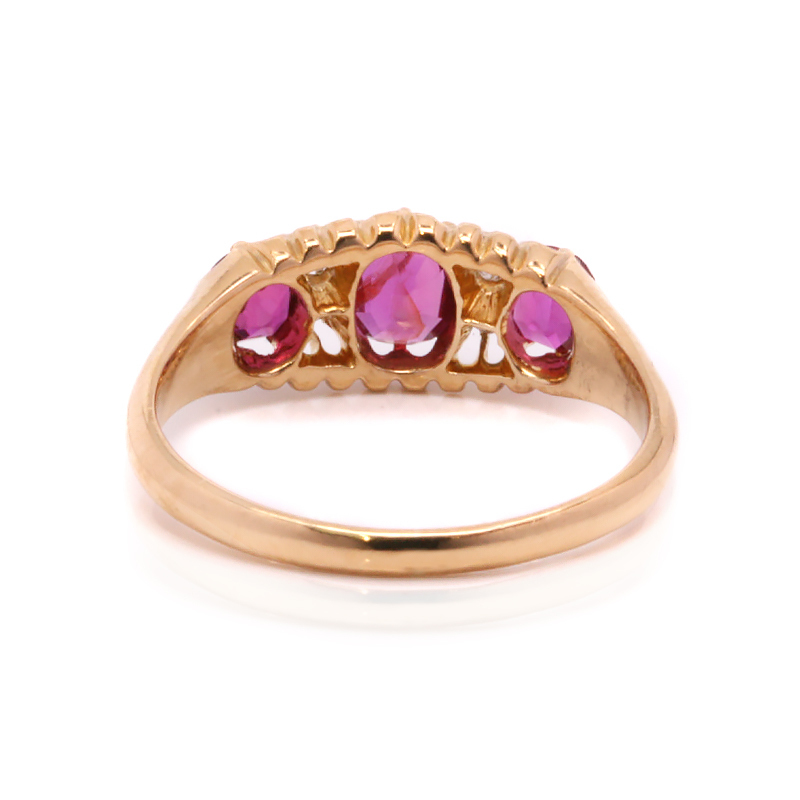 Hand made in 18 carat yellow gold, the ring is set with three beautiful natural rubies that come together to total 1.23 carats. Not only are they all perfectly matched in colour and clarity, but they all exhibit such a fine red colour with excellent transparency allowing you to see right through each of the rubies. And then set on each side of the centre ruby are two European cut diamonds that add an elegant amount of sparkle to the ring and total 0.06 carats. Measuring 7mm wide at the centre by 15.5mm across, this ring which is nearly 120 years old still looks and feels so elegant on the finger. 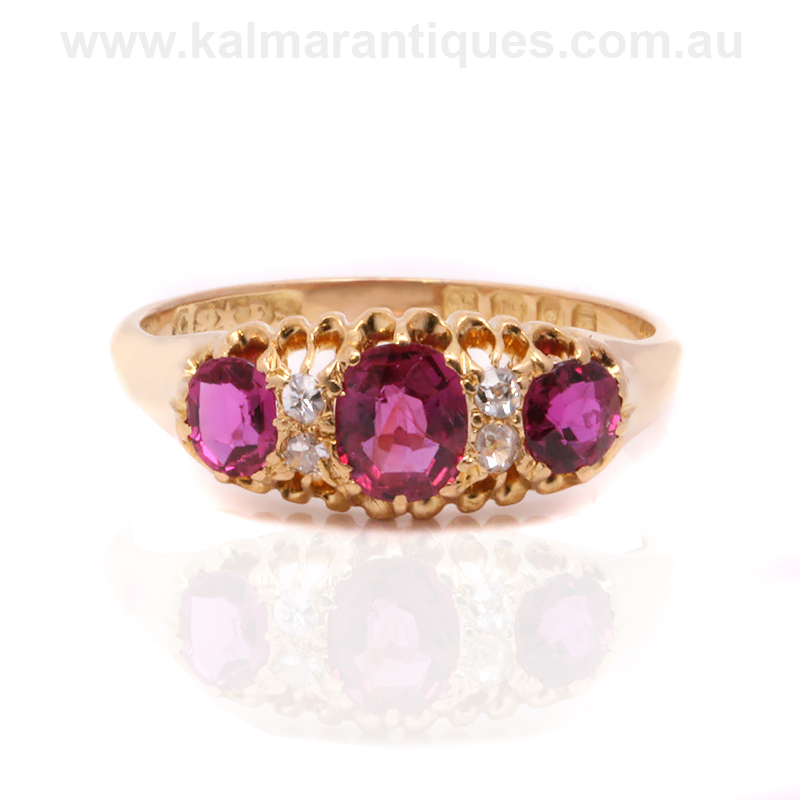 Tags: Antique ruby and diamond engagement ring, antique ruby and diamond ring. This antique ruby and diamond ring was hand made in 1899. 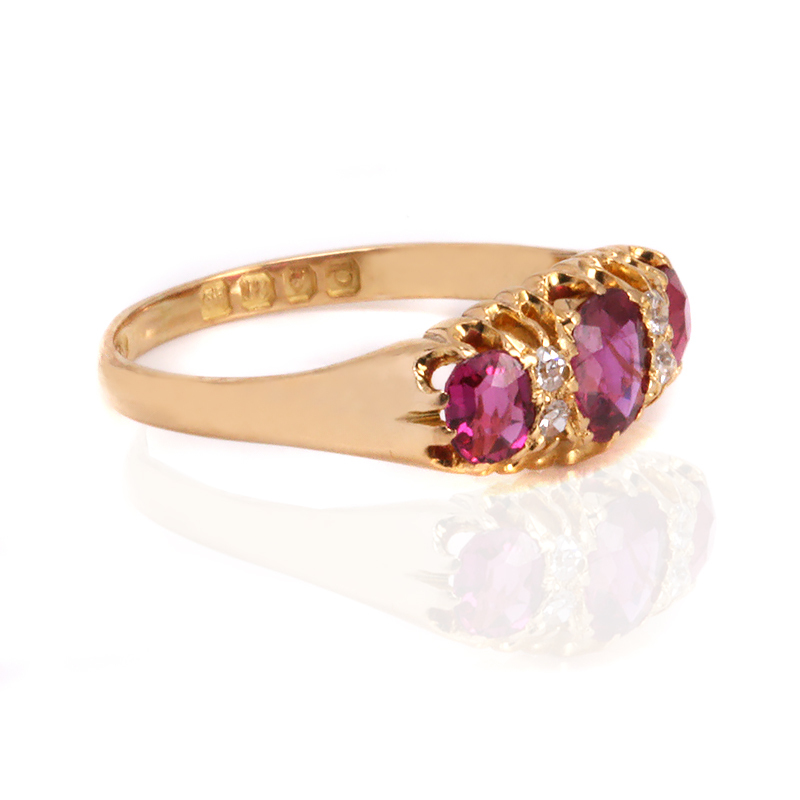 Perfect for any finger and occasion, it would make a perfect example of an antique ruby and diamond engagement ring. Set with genuine antique European cut diamonds, this ring sits perfectly on the finger.